Professional Restoration Services (PRS) is your local family owned insurance restoration services specialist. Professional Restoration Services is a full-service general contractor who will manage your restoration project from start to finish with our award-winning craftsmanship. Our on-call technicians are available 24 hours and use the latest state-of-the-art technology for a quick, thorough, and guaranteed drying process. Whether you need water damage restoration, water extraction, fire damage restoration, smoke removal or other restoration services Professional Restoration Services (PRS) is your go-to company. Professional Restoration Services performs water damage removal cleanup 24 hours a day, 365 days a year. 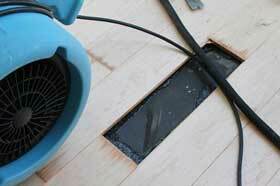 Water damage can be very harmful to your home or business and can be hard to detect. Let our certified technicians professionally inspect your home or business, perform water damage extraction and help prevent further damage. 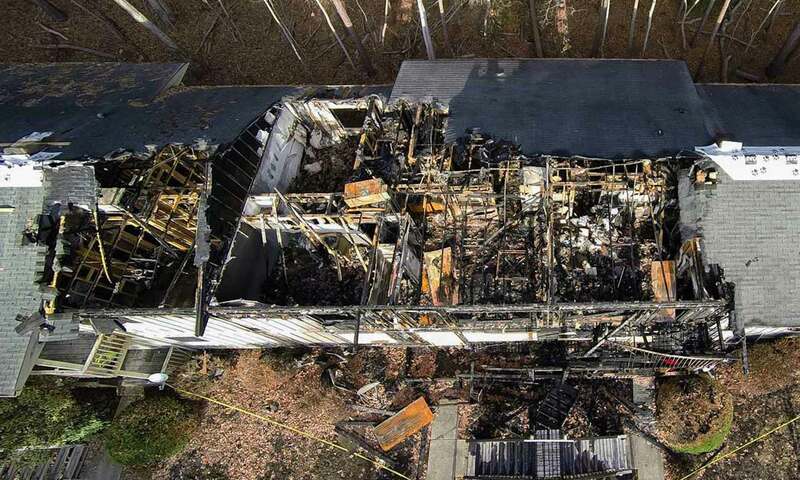 A fire can be devastating to any home or business and depending on the severity of the fire damage, and it can put you out of your house and a place to sleep for a long time. 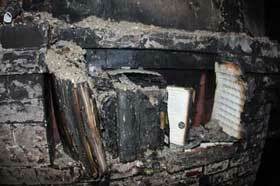 Cleanup after a fire requires specific technical experience that a restoration professional has. PRS is also a general contractor and can complete your fire restoration project from start to finish. Mold removal of black mold or any type of mold is very serious and PRS takes all proper precautions when it comes to mold removal with proper PPE and certified mold remediation technicians on staff. Call us today for a free inspection if you have mold damage in your home or business. 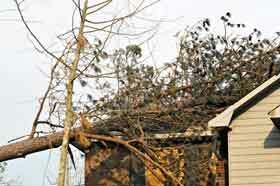 Some people may not realize that storm damage can often be covered by your insurance company. If you have a tree on your home or a lightning strike that caused smoke damage, call PRS today and let us help even if it’s in the middle of the night. Look no further - PRS is with out a doubt the company you HAVE to use. My one phone call to them turned out to the best call I have made all year. They were able to calm me down and assure me that they would not only take care of the mess at my home but also be professional while they worked. This company is staffed to take care of several needs all in one (sheetrock, painting, carpentry, water removal). And I just used a portion of the different trades they have on staff. Do not waste your time on searching for someone to come save you from a bad situation - take my advice and just call PRS! When we had water damage from our leaking water heater, PRS was quick, efficient, and professional. They were at our house within a couple of hours to begin the drying process and prevent further damage. Our house is now back in original condition and looks great! We have just completed our requirements with PRS and they gave us excellent service in every respect. A large water leak from the condo above left a real mess with major repair work required. There were special owner health needs which required special considerations, but our project manager understood and handled all issues in a professional and efficient manner. PRS is a great company and we strongly recommend them. I have had to use PRS twice for mold mitigation due to the the same leaking roof that could not be easily identified. 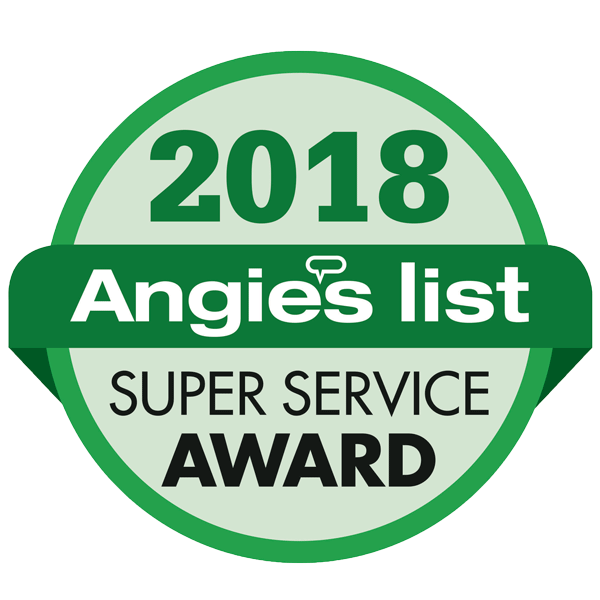 They were professional, responsive and always quick to explain what they would be doing to reduce the wetness in my home and mitigate the mold. Kevin R., Drew and the PRS teams were courteous and knowledgeable and empathic to the issues we were dealing with. Throughout the ordeal to reduce the wetness, Drew would check back with me constantly on my contractor's status in resolving the leak; he was extremely sensitive to our situation. The PRS teams always called ahead to alert us that they were coming, and upon their arrival they were efficient and quick to do what needed to be done. Their pricing was fair and I'm very satisfied with their work product. I highly recommend PRS and would not hesitate to use them again. PRS of Raleigh managed a major repair to kitchen and bathroom caused by an extensive water leak that went undiscovered for an extended period of time. The project manager for my work was outstanding. He stayed on top of everything and provided me with updates, schedules and status on a timely basis. The workmanship on all phases was outstanding. 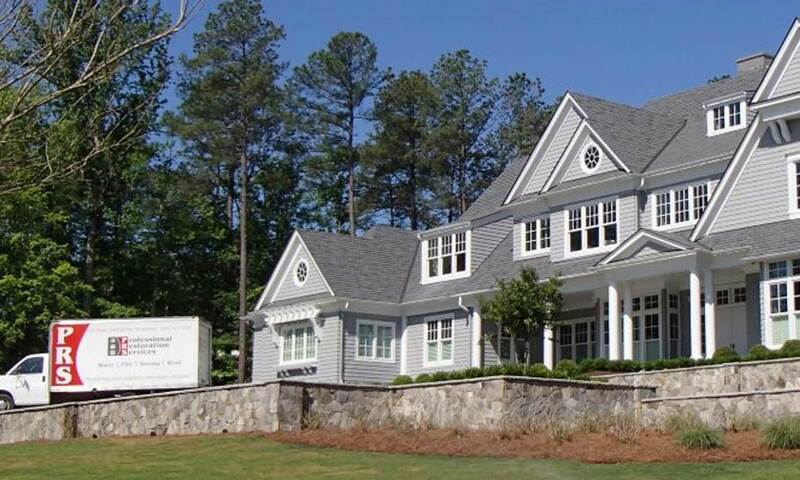 He kept my insurance agent informed and every phase progressed smoothly with a minimum of effort on my part, I would recommend PRS of Raleigh to anyone in need of restoration or remodeling services. Best company I have ever worked with in this area. I would recommend PRS. They were professional, responsive and complete high quality work. Great customer service. I had an excellent experience with PRS on a recent repair for storm damage. They were professional, reliable, and friendly. I used a different company for the mitigation after the storm and then used multiple contractors for the repairs. With such amazing customer service, I wish I had PRS do the whole job! If we ever need restoration services again, PRS will be the only company I call! I had a great experience with PRS on a recent repair for water damage. They were professional, responsive and completed high quality work. It was clear that everyone I had contact with was dedicated to a great customer experience. I would recommend PRS for their mitigation work in my house. They identified all areas that were damaged and potentially damaged and mitigated in an efficient way. The work was done in a timely manner. Drew the advisor was available all the time to answer my questions and also come check on status updates. We had a very unfortunate situation with a slow leak behind our fridge. It caused quite a bit of damage, which insurance wouldn't cover. The PRS guys were kind, sympathetic and professional from the start. They approached the situation in phases, trying to manage the scope of the mitigation as much as possible, while still ensuring the area was completely dried and any mold was addressed. They were very respectful and careful about the rest of our home, covering things so as not to spread the mess any further than necessary. They cleaned up nicely at the end of each day. And they always made sure all my questions and concerns were addressed. On top of that, they were an absolute pleasure to work with. I couldn't recommend them more! PRS was a great company to work with during a unpleasant situation. Our downstairs bathroom flooded and created a mess. We were thankful to work with our insurance company and PRS to fix all of the problems. It was a pleasure working with Professional Restoration Services. Bill Daley is a professional, that will walk you through every detail. PRS worked directly with my insurance company taking the burden off of me. My wife and I experienced water damage from a refrigerator leak that demolished our hardwood floors. PRS came in the next day and took care of everything, even as far as when asked, giving their professional opinion on what they recommend we do. Highly, highly recommend this company. I've had the pleasure of working with Kevin Reinert for many years and have always found he and his TEAM to be TOP SHELF and provide quality service in a prompt manner. I highly recommend them! We recently had a broken water pipe the caused damage to our home while we were out of the country. After a very early morning emergency call, PRS provided immediate support, quality work, and great communication. We are thankful for their amazing work and would recommend them to anyone! Very professional. Job was not considered finished until I was completely satisfied. They were very responsive and informative throughout the process of putting my home back together. Highly recommend. Mr. Bill Daley came the day after the leak was found under our master bathroom shower and explain what work needed to be complete, he also explain the price up front. Later that same day his crew came and started the work. They were professional and worked very hard. After about a week the work was complete and we were able to sell our home on time. I would recommend PRS to anyone. I have worked in the restoration industry for over 15 years and I can honestly say this is the BEST company I’ve ever had the pleasure of working for. Owners, Kevin & Amie, are fair, kind, caring and responsive and empathetic to customers’ needs. They conduct business with the utmost integrity, which has made me proud to be an employee at PRS. I’m parting with them only due to a work-from-home opportunity, but do so with nothing but the highest regard for the co-workers I now consider an extension of my family. I would highly recommend choosing PRS for your restoration needs, as I have seen the inside of the operation first-hand and can attest to the fact that you are in great hands! Frozen water pipe in January left us with major water damage in the kitchen, laundry room and den. Kevin Folsom and his team were there right away and handled the entire process professionally and quickly. I highly recommend PRS ! 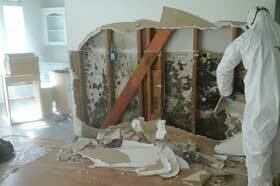 Professional Restoration Services is the only water damage Raleigh company you need to call. We perform all restoration services in Raleigh, Cary, Apex and surrounding cities for water damage restoration, fire damage, mold removal, smoke odor and more. If you are looking for more information on the Water Damage Standards follow this link to the IICRC. PRS is also a licensed general contractor who will manage your restoration project from start to finish for all restoration services. Call us today with the confidence you only need to make one phone call.